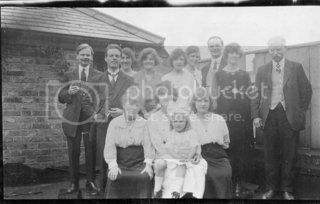 Family Photos 1911 - 1920 - Page 10 - Genealogists' Forum - We have branches everywhere! 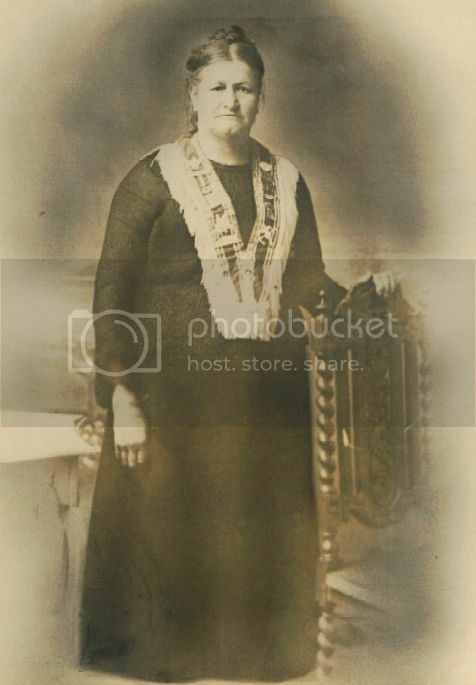 Priscilla Isabella Wallace Williamson (1864-1931), my great-great grandmother. Priscilla had two illegitimate children - her eldest being my great grandmother - and then went on to marry three times becoming, in turn, Priscilla Paton, Priscilla Falconer and Priscilla Keddie. She once worked in coal mining as a pit head lassie. 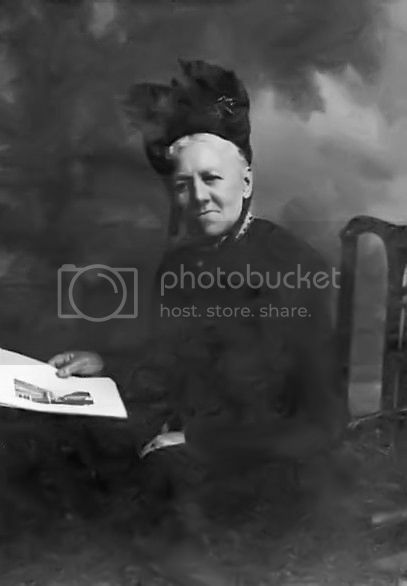 I'm curious about the sash she is wearing in the photograph. I'm not sure when the photo was taken. Donovan Horne born 21st January 1914. My uncle who will be celebrating his hundredth birthday on Tuesday. Last edited by anne fraser; 14-12-15 at 15:00. 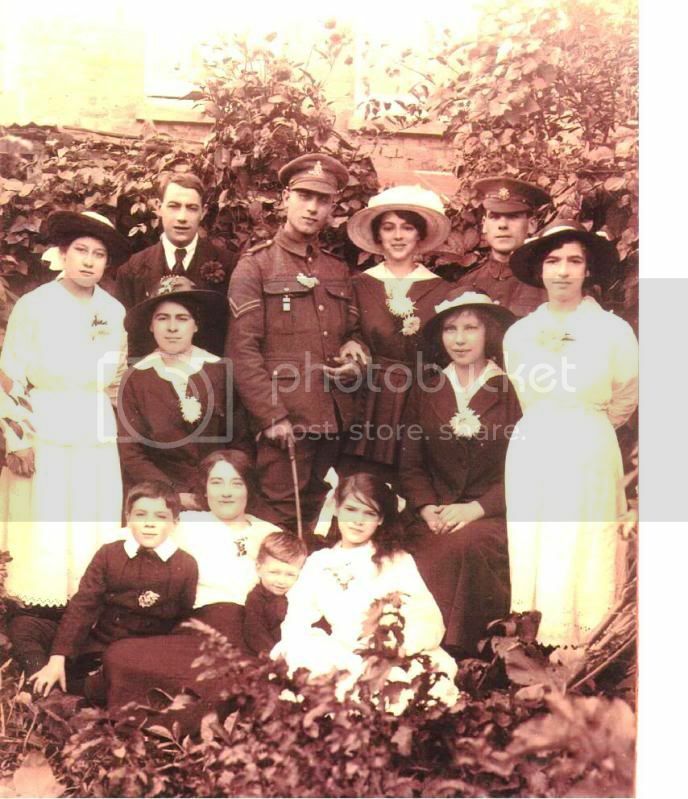 The Carsons family taken in about 1920, probably in Wandsworth or Wimbledon Park. 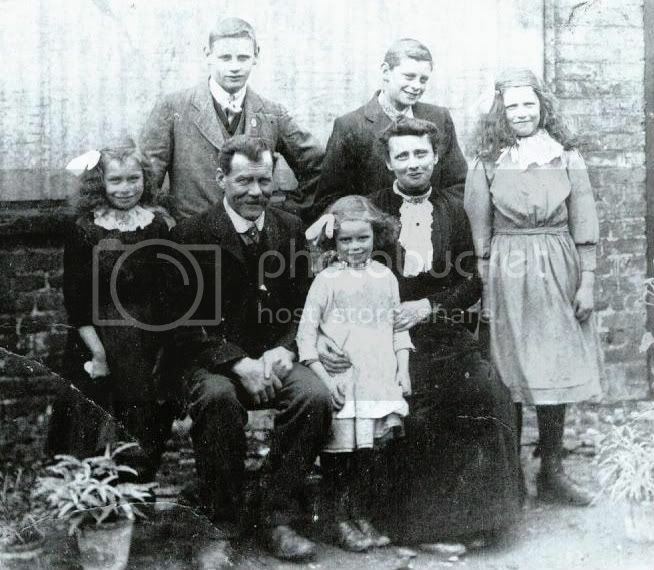 My maternal great grandmother Ellen [Nellie] Victoria (nee Phillips) is seated on the left and my maternal great grandfather Arthur Joseph Carsons is standing on the extreme right.